Canon Solutions America manufactures leading edge large format digital printers. Our team was asked to create a number of application samples that could be demonstrated live at the largest trade show if its kind in North America. This was a giveaway piece. We have helped Canon Solutions America promote their digital printing products for a number of years. 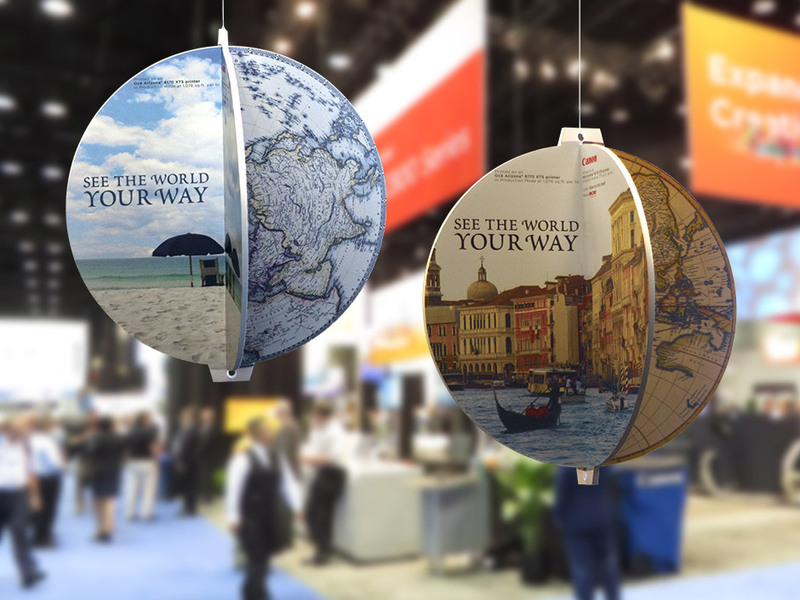 This piece was printed on their printer and cut out digitally (by the thousands) on the Graph Expo trade show floor. They were both fun and practical. 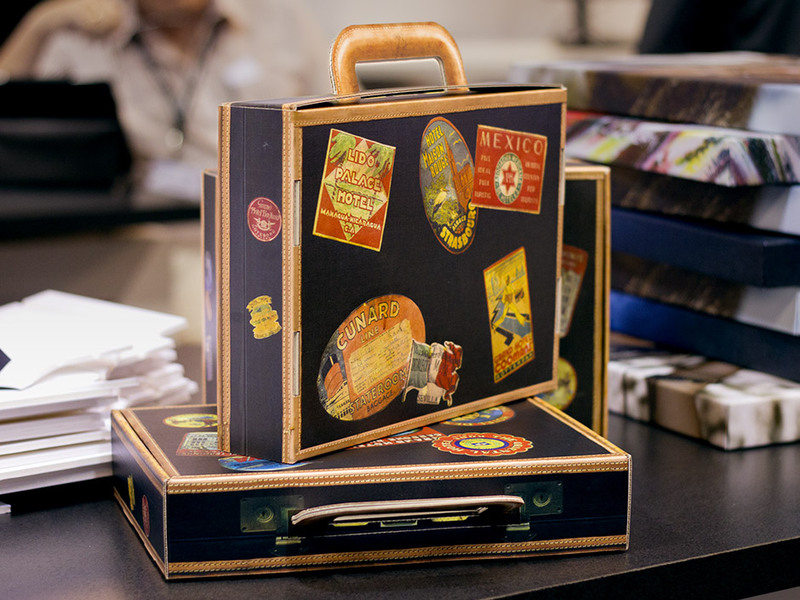 This dimensional cutout folded into a vintage-style travel suitcase once the flat stock printed. 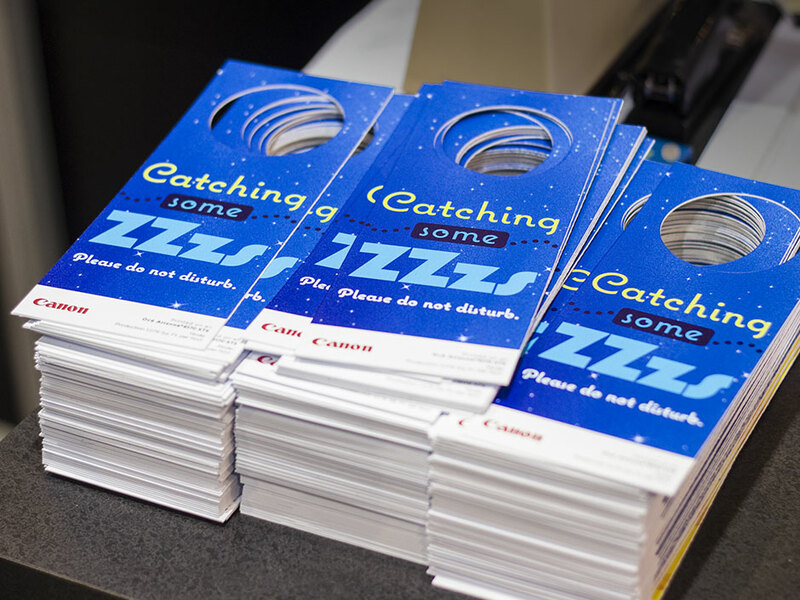 It was the hit of the show, as attendees were able to fill it with brochures and other giveaways collected on the Graph Expo trade show floor during the day.